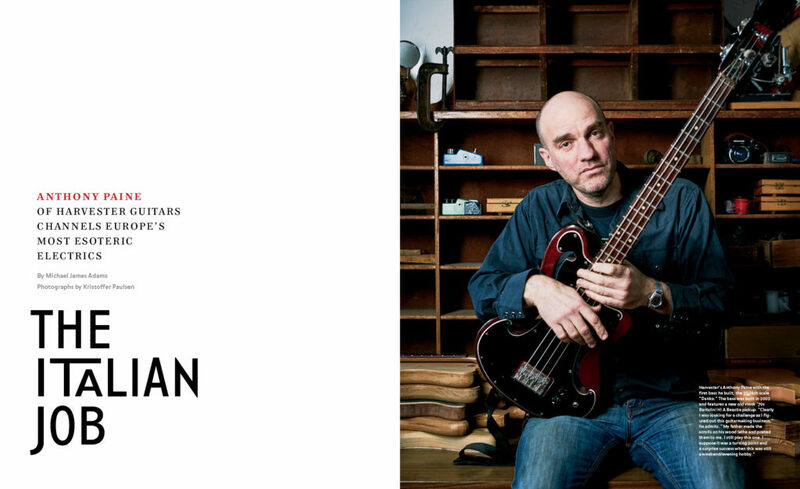 The 39th issue of the Fretboard Journal offers another deep dive into the world of fretted instruments, visiting (and re-visiting) luthiers looking to the future and the past, iconic instruments and, of course, some of our favorite musicians. 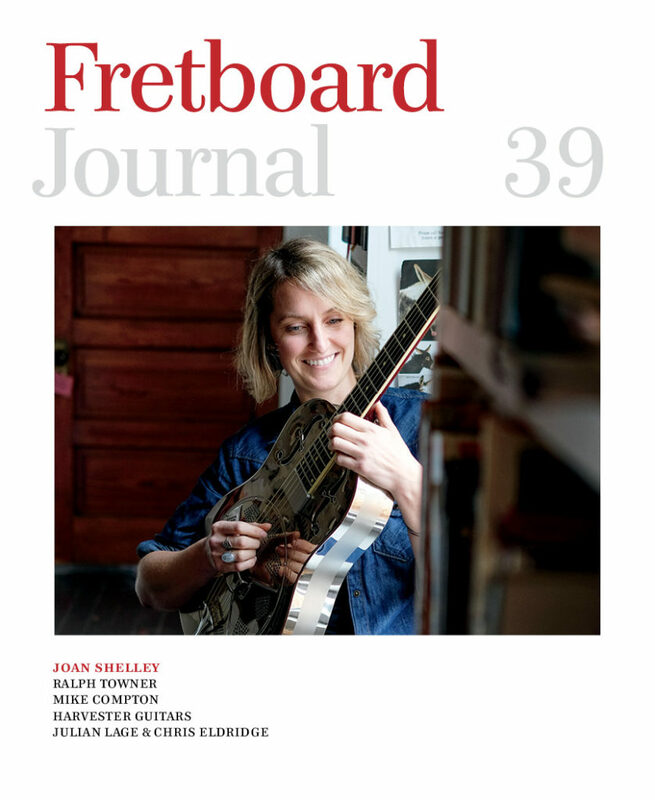 Quite by chance, this issue may be the Tweedy-est edition of the Fretboard Journal ever: In a wide-ranging conversation with our cover artist, Joan Shelley, publisher Jason Verlinde gets another peek inside Wilco’s Loft, where Shelley recorded her latest record with Jeff Tweedy; Tweedy’s Wilco bandmate, Nels Cline (profiled in the Fretboard Journal 37) gives us an insightful personal look at the legendary Ralph Towner, one of the progenitors of modern acoustic music; and Michael James Adams profiles Anthony Paine of Melbourne, Australia’s Harvester Guitars–just before we went to press, one of the instruments featured made its way into Tweedy’s collection. Meanwhile, we’re bringing you the conclusion of our two-part Ken Parker interview, an introduction to second generation legend-in-the-making Elle Jayne Henderson (her dad is the legendary Wayne Henderson), explorations of the mandolin magic of Mike Compton as well as the uncanny chemistry of Chris “Critter” Eldridge & Julian Lage and much more. Once again, we’ve packed this issue with exclusive photographs and in-depth interviews you won’t find anywhere else. 128 pages, printed on keepsake paper. You can subscribe to our reader-supported magazine here. It’s one thing when a guitar gets passed down from generation to generation, but it’s quite another when the legacy is actually the skills to build a guitar. 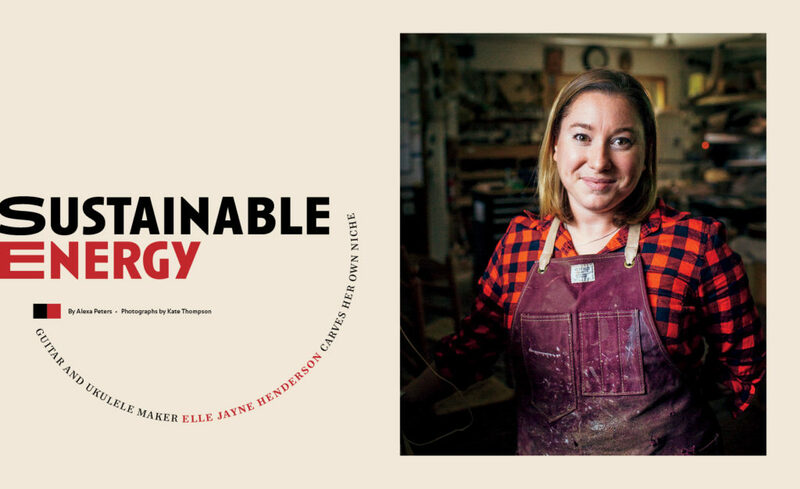 Elle Jayne Henderson, daughter of Wayne, sits down with Alexa Peters to share her story of taking the mantle and getting out of the shadow of her formidable father. 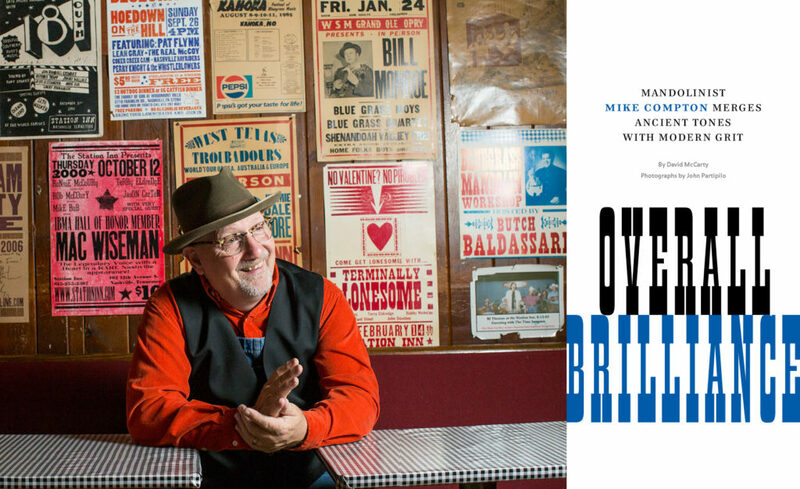 Speaking of taking up a mantle, Bill Monroe looms large in Mike Compton’s story, but Mike’s much more than a torch carrier for Big Mon. David McCarty gives us a Big Picture look at one of our favorite mandolin players… and people. Meanwhile, famed Nashville photographer John Partipilo makes his FJ debut with shots of Compton’s favorite mandolins. For our cover story we turned to Joan Shelley, a favorite whose latest release has her poised to make a big splash. Jason Verlinde’s portrait brings her unlikely journey from Kentucky to Argentina to Wilco’s Loft to the pages of the Fretboard Journal… and all points between. We’ve brought you Critter and Julian separately in many guises before, from the pages of the magazine to streaming on our Facebook page. 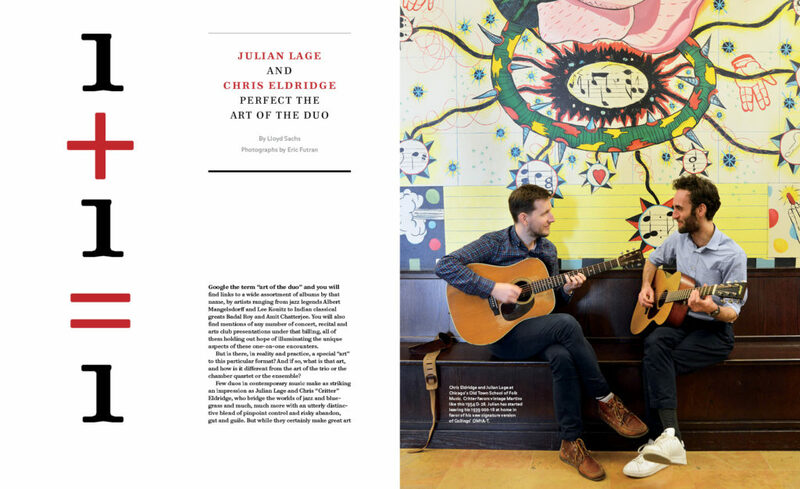 Ever since we saw them close the inaugural Fretboard Summit together we’ve been wanting to take a closer look at these two virtuosi’s work as one of the finest guitar duos ever. Lloyd Sachs caught up with them for this can’t-miss portrait.